Forgiveness is an effectvie treatment for anger and relieving hurt. 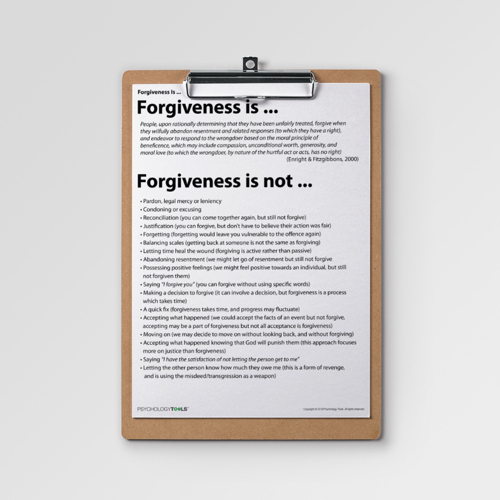 Sadly, many people dismiss forgiveness due to misconceptions regarding its nature. 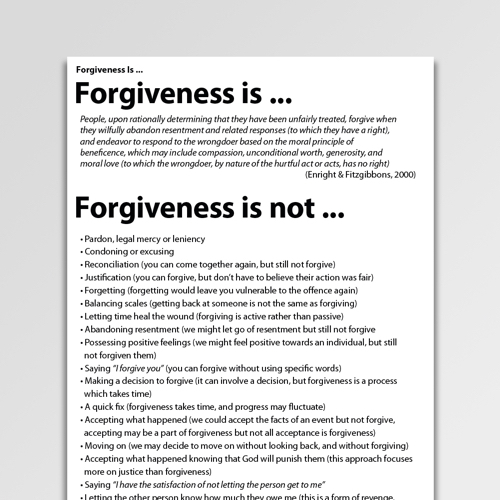 This information handout describes what forgiveness is and is not. 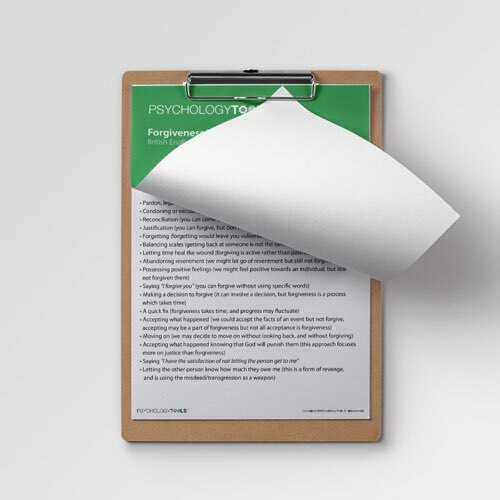 Clients often struggle with the concept of forgiveness because of unhelpful misconceptions regarding its true nature. 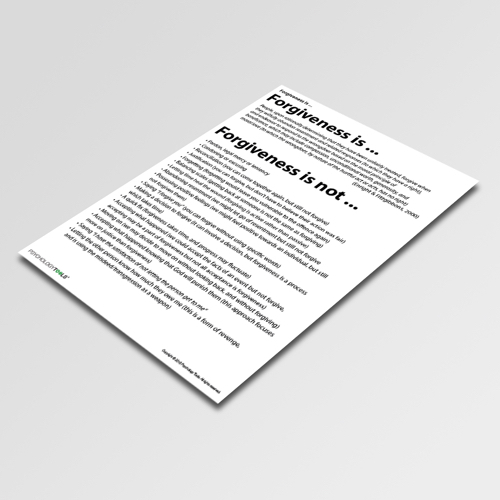 Forgiveness Is… is an educational worksheet with a clear description of what forgiveness is and is not.